Alllllllll the V-Day vibes! 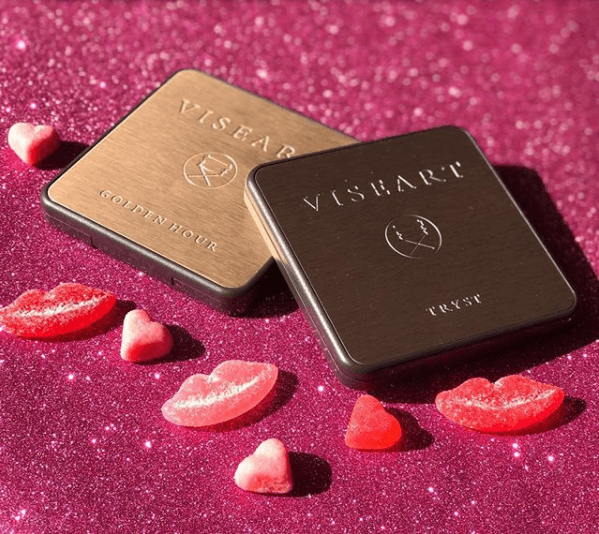 Viseart is launching their NEW Tryst Eyeshadow Palette on Wednesday, 2.07! The palette is a continuation of their Golden Hour series. 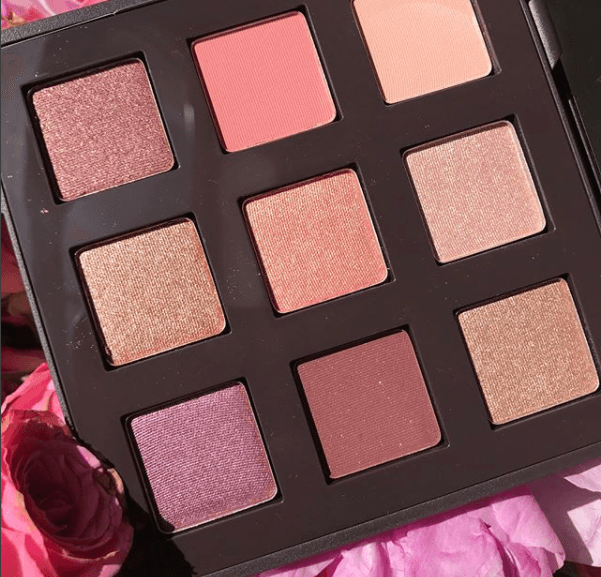 This new beauty includes four mattes and four metallics/shimmers in new cool-toned pinks! The shades range from soft pinks to purples to cooler, lighter shades – it is sooooo feminine and soft! We especially love that it includes a mirror! So handy & convenient, much appreciated. The palette will be available exclusively at Beautilish. For this release, the founder Anastasia V. Sparrow posted the sweetest IG pic with the following caption – their brand is truly a family business! The other 9-pan palette in the Golden Hour family retails for $49 so we are thinking this will, too! I mean, yes, VERY expensive for 9 eyeshadows but also, it’s to be expected of Viseart. We are just loving the delicate feel of this palette! 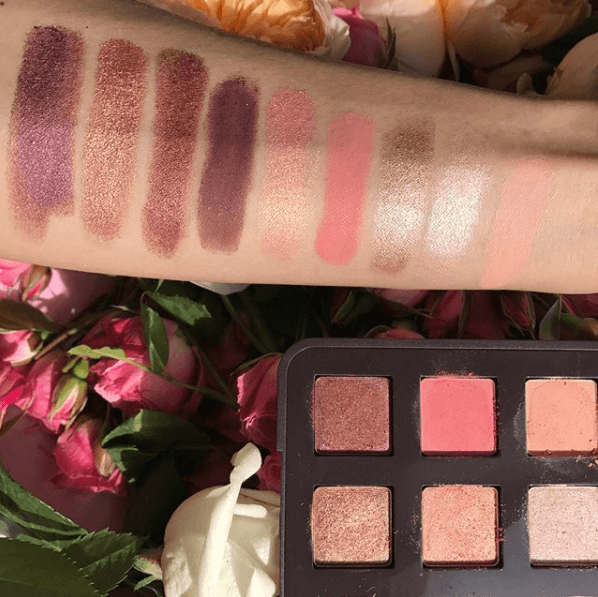 It’s so soft and girly – EXACTLY what we picture for a Valentine’s day palette! But I can’t help but notice that there is something lacking here. All of the shades fall into the same range: light. I don’t even think I would consider any of these medium-toned. I’m not sure how one would get a really complete look with just this palette – there is nothing to deepen or add any depth or dimension! It’s essentially an entire palette of light transition shades and shimmery lid shades. But this may be exactly what your collection needs to brighten things up! Or maybe you are truly that natural-look guy or girl that doesn’t try to draw tooooooo much attention, so you keep t easy breezy. But me? I wouldn’t find much of a use for this one. We’re thinking it’s a pass. Let’s do the math. $49 for 9 shadows is $5.40/each. That’s less than Colourpop. It’s way less then UD singles that sell for $19/each, and whose quality cannot touch Viseart. Sure, you can go to Maybelline and Wet n Wild for cheap shadows, but all things being equal Viseart is more than fair. Hmm that’s a great point!